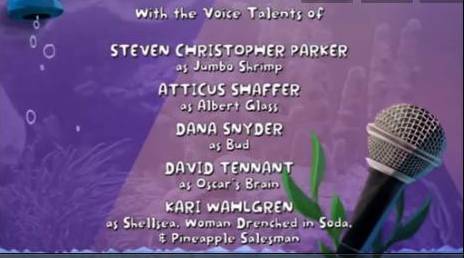 David Tennant voiced the character Oscar's Brain in the episode of Fish Hooks called Live At The Hamsterwood Bowl which premiered on the Disney channel in the US on Friday 21st June 2013 at 9pm ET. 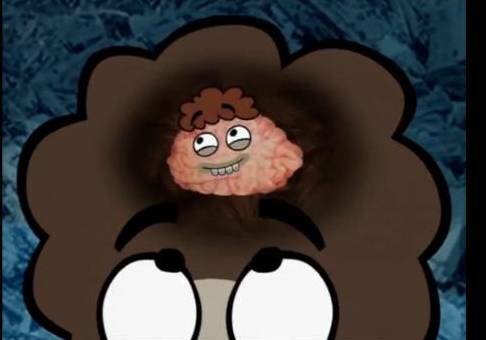 David Tennant's character Oscar's Brain will also appear in the episode Assignment: Babies which will be shown on the Disney channel in the US on Friday 27th September 2013. Fish Hooks was created by Noah Z. Jones and is an adult cartoon about adolescent fish at a high school in an aquarium in Bud’s Pet Shop. Each episode only lasts 15 minutes. 'Oscar's dream date with Bea is threatened when their friends tag along to hear him perform live. For posts related to Fish Hooks on Blogger.com click here.